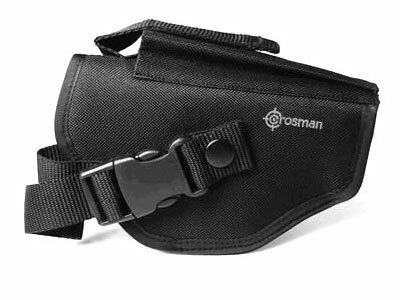 Questions & Answers: Crosman Pistol Holster, Accessory Pocket, Quick-Release Buckle, 7"x4.5"
Customers Q&A on Crosman Pistol Holster, Accessory Pocket, Quick-Release Buckle, 7"x4.5"
Is this holster right-handed,left-handed or ambidextrous? Thanks! Any idea if this will fit the Umarex S&W M&P R8 revolver? It should fit fine, this is a simple holster that will fit a large amount of models fine.